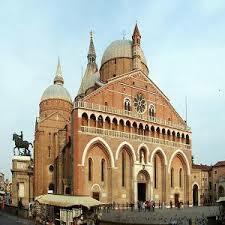 Giulio Radino was a member of the musical circles of Padua at the end of the sixteenth century. His compositions, published by his father in 1607, provide interesting examples of the polychoral and polyinstrumental practice, whose first experimentations had taken place in that town. Little information is known about their lives. His father, Giovanni Maria, was an organist of the musical chapel of St. Anthony’s and, until 1598, of the church of S. Giovanni di Verdara. Giulio died in young age, as one can read in the dedication of the collection to the earl of Khevenhüller-Frankenburg. Lacking a biography, his works speak. Their language reminds of the two Gabrieli, for instance in the use of instruments in the sacred repertory. On the contrary, the absence of a specific part for the general bass places his writing in a more traditional dimension, neglecting the new formulations of the continuo. The other composers included in the collection of 1607, in particular Amadio Freddi and Bartolomeo Faveretto, were also active in Padua. The program of this concert, centred on polychorality, is of invaluable importance both from the musicological, and the aesthetical point of view. It has been shaped on the basis of the musical parts still existing in the library of the University of Uppsala and in the Jagiellonian Library of Danzig Jagellonica, and thanks to the reconstruction of a missing part by Sergio Balestracci.